The bloody 'War Against Nature' is roiling in Africa and it's being fueled by a voracious Asian demand for animal parts. Join Earth Dr Reese Halter for another segment of SOS as he explains the awful poaching bloodlust for animals parts to supply the ravenous SE Asian and Chinese marketplace . The Animal Kingdom is under siege, extinction looms for many of Earth's last great beasts. Since my emotional broadcast across Australia in December on this maniacal bloodlust, poaching has escalated. This is heartbreaking news and like our dying oceans, its time that the world's leaders concentrated on maintaining Earth's biodiversity now because our global environment is being ransacked harder and faster than ever before in the history of Earth. So just how bad is it, right now, in Africa? Each hour, 24/7/365, four majestic elephants are slaughtered for their ivory tusks. Forty years ago there were at least 1.2 million African elephants. Today, there are less than 400,000 elephants remaining. 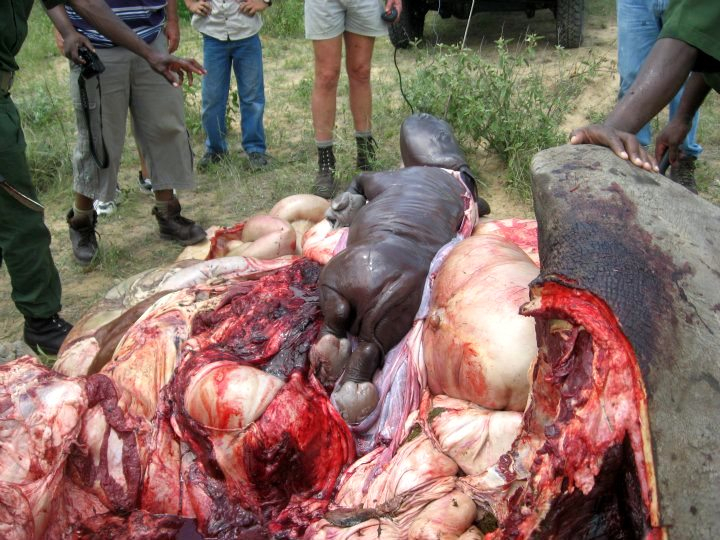 Thirty-five thousand beasts are poached each year. At this sickening rate of extermination, elephants will be extinct, which means gone forever, by 2025. 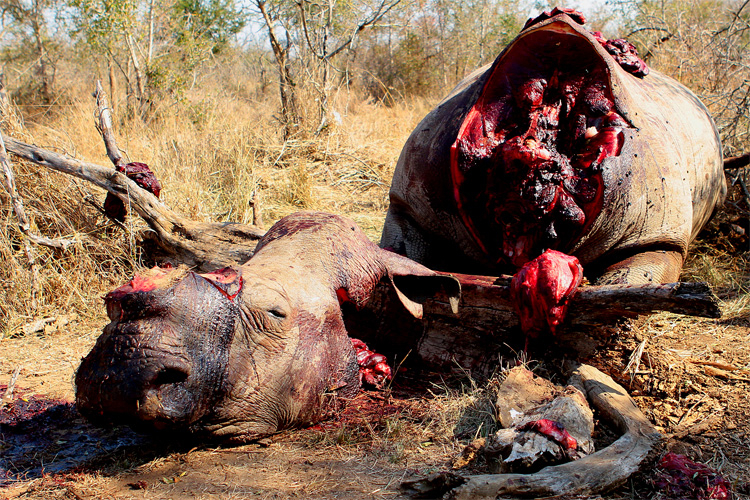 Every 8 hours, 24/7/365, one magnificent rhino is murdered for its $500,000 horn. Since the 1960s rhino numbers have plummeted from 500,000 to 29,000. Chillingly, since 2007, poaching rhinos has increased five thousand percent. At this deranged rate of annihilation, rhinos will be extinct by 2020. Yesterday a gruesome report came across my desk: Members of Lord's Resistance Army, known for kidnapping children and turning them into soldiers, lead by an alleged war criminal Joseph Kony, are believed to have massacred 68 elephants in Garamba National Park, Congo. These loathsome poachers are armed with sophisticated weapons flowing-freely out of Libya where former oil baron and dictator Colonel Muammar Gaddafi had stockpiled tons of armament. Using helicopters Lord's Resistance Army shot elephants from the air, quickly landed, chain-sawed tusks off and carved animals open removing brains and genitalia for an insatiable Asian marketplace that craves animal aphrodisiacs and hokum animal cures for human diseases. Garamba National Park just lost four percent of its dwindling elephant population of less than 2,000 critters. Twenty years ago, the Park boasted a robust population of over 20,000 elephants. Today an even more exasperating announcement came across the wire from Tsavo National Park, Kenya. The world's largest remaining elephant and last of the great tuskers 'Great Satao' with his extraordinary couple hundred-pound tusks reaching the ground was murdered with poisoned darts. Kenya lost its national icon and Earth lost a priceless global treasure including its phenomenal genetics. Despite 24/7 protection, despicable poachers finally stole Great Satao's breathtaking tusks, which were more reminiscent of a Pleistocene Ice Age Columbian mammoth rather than a modern-day African elephant. Each year the destruction of nature with illegal trafficking of animal parts is valued in excess of $300 billion. It now rivals that of drugs, arms and human trafficking, combined. Organized crime i.e. 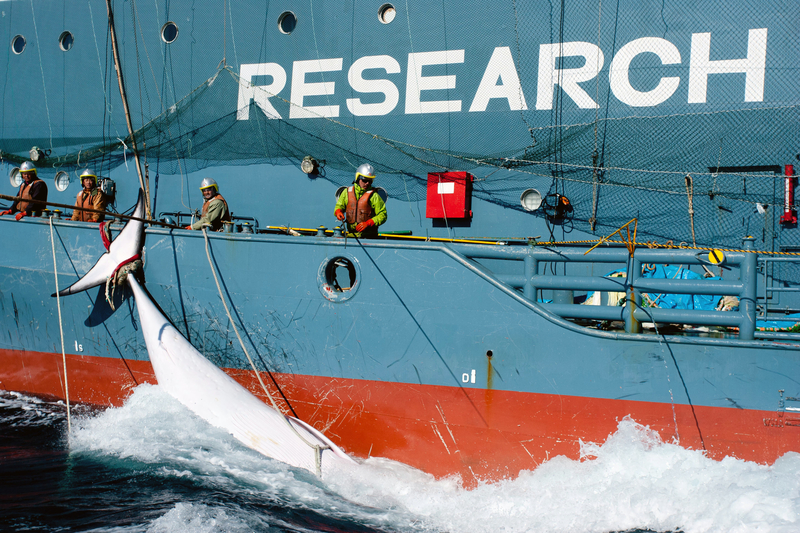 The Mafia, Syndicate, Cartel, Yakuza and Triad's are running this lucrative, life-ending business. Rhino horn commands $27,000 per ounce or 23X more expensive than gold bullion. The only way to slow this hideous ecocide is by stopping the demand from SE Asia and China. 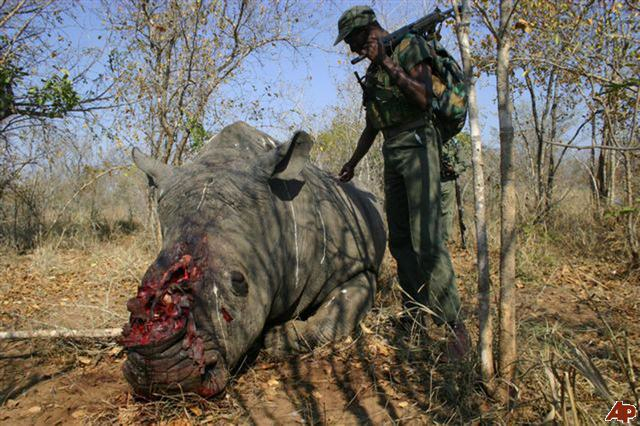 From South Africa to Zimbabwe intrepid men like Major General Johan Josste and Damien Mander, a former Australian Special Forces sniper, are leading armed rangers into combat against these vile, heartless poachers. Aerial drones and state of the art algorithms are being used to predict best places for rangers to patrol parks, intercept scourge and kill them. Alas, even modern technology can't help these rangers contend with this accelerated ecocide because they are out-numbered and out-gunned; meager budgets are no match for unscrupulous, cash-rich gangs, feeding insatiable organized crime syndicates. We need world leadership and unanimity to break the backs of these heinous crime syndicates and their deplorable henchmen who are unraveling a hundred million years of evolution in less than a decade. This is indeed the most grotesque dysfunctional, sociopathic ecocidal behavior unleashed upon nature in the fleeting history of the human race. In the time it has taken me to produce this report including taping the SOS segment, 192 elephants and 6 rhinos have been senselessly massacred as the 'War Against Nature' rages on. It's time for each of us to step-up, lend a helping hand and save the remaining elephants and rhinos from extinction! Please support the life-saving conservation work of the Big Life Foundation and Stop Rhino Poaching.